The Proline Studio Boom Stand is the perfect multi-use mic stand for stage and studio. It’s ideal for vocals or instruments that need overhead miking such as drums, cymbals, choirs, pianos, ensembles, and more. The PLSB1’s wide-stance, tripod base with sturdy locking casters anchor it securely to the floor. Its large diameter main-shaft tubing extends the stand’s height from 53″ to 85″. 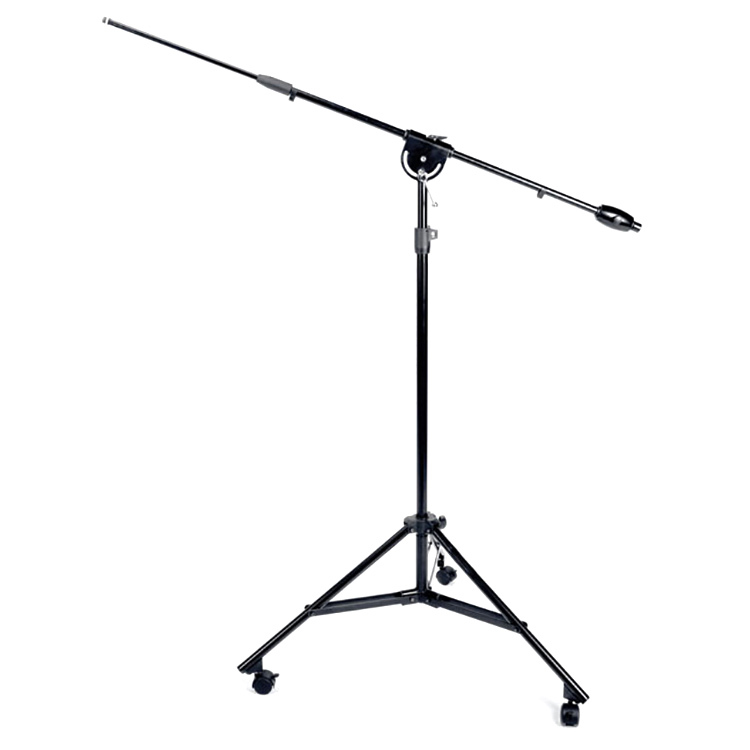 The boom arm extends up to 92″ to suit any mic position, and the 2.3lb. adjustable weight is the perfect counterbalance for large diaphragm microphones. Just a half-turn of the mic stand’s advanced tilt clutch makes changing mic angles quick and easy. Finally, its fully folding lightweight design allows for easy transportation in the compact folded position with no heavy cast-iron base to lug around.